New vision of solitaire experience. Free and wide-platform tournament’s world. TriPeaks Solitaire Challenge is the most powerful global classic solitaire challenge. 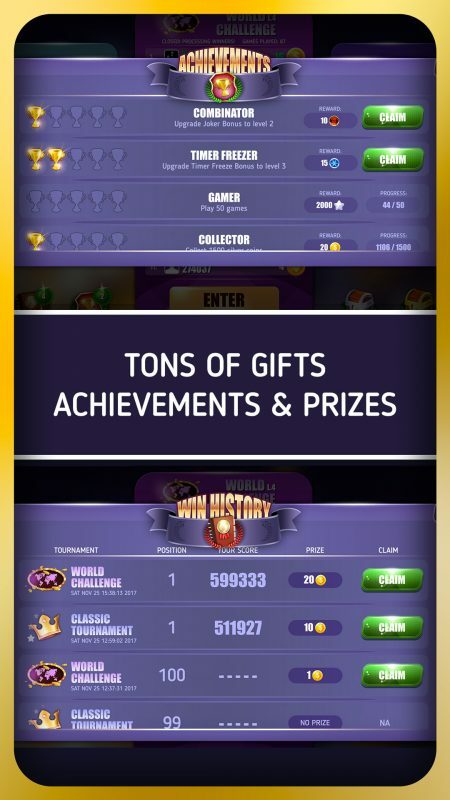 Reach new skills, explore new powerups, collect gold and silver, reach achievements, open new tournaments, and become the TriPeaks Solitaire Champion of the World!! 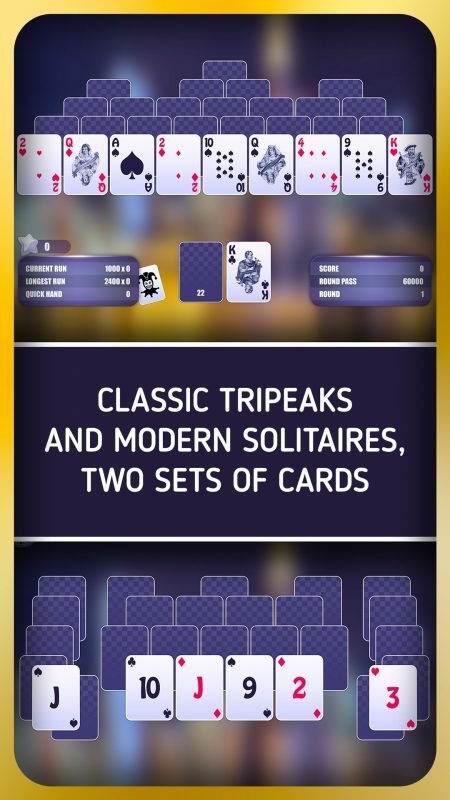 We have collected the best social tripeaks (pyramid) solitaire experience to bring it to you. We are quite sure that everyone who likes tri-peaks, pyramid, freecell, spider, diamond, klondike, club, hearts and other solitaire games, of any age, from teen to wisdom, will love the ability to join the global social pyramid solitaire challenge. – Classic Tripeaks Tournament: challenge The Globe every day! Here you will find masters of your level. – World Challenge Tournament: the most extreme solitaire experience you had before. New conditions, new competitors, new prizes every day! 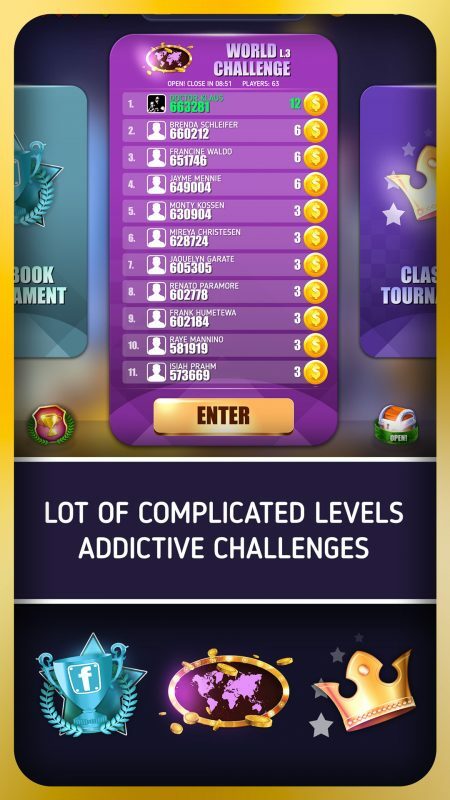 – Facebook Tournament: challenge your friends and keep them in touch of your success. – and, tournaments gives you not only The Glory, but The Gold as well! – use bonuses to boost your score. 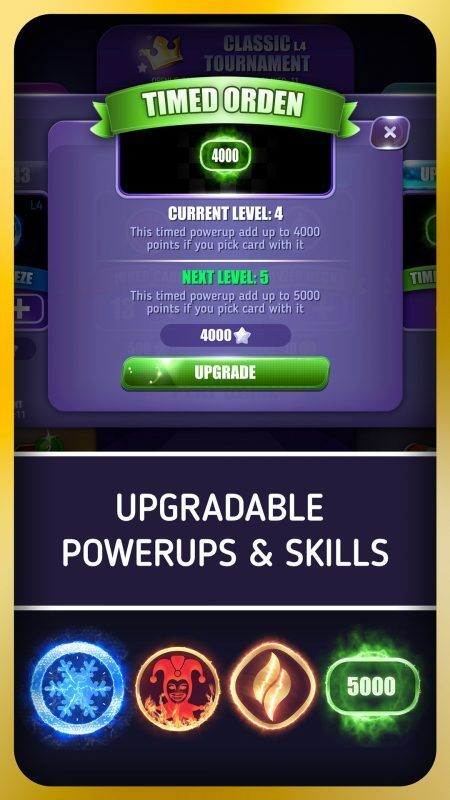 For example, taking the Timer Freeze Powerup before you play, you will get more time to play and more time bonus score in case to clear the all game field. And taking the Joker Card powerup, you get the wildcard that beat any other one. – some levels are quite complicated, like mahjong pyramid solitaire layouts, but all of them are real, don’t give up! Invite as many friends as you can to get more fun and more challenge. You can invite your Facebook friends just inside the game, but don’t hesitate to use any other social network you know. More friends – more fun! Thank you for joining us and welcome to our TriPeaks Solitaire Challenge club!